The new i3 and i8 aren’t the only plug-in cars on BMW’s agenda; plug-in hybrid versions of regular models like the automaker’s sedans and SUVs are also in the works. 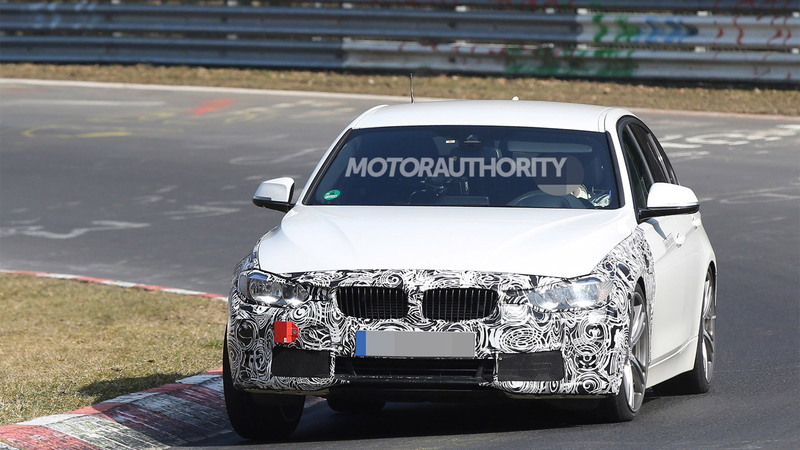 The first is a plug-in hybrid version of the X5 SUV that is set to debut at next month’s 2015 Shanghai Auto Show. 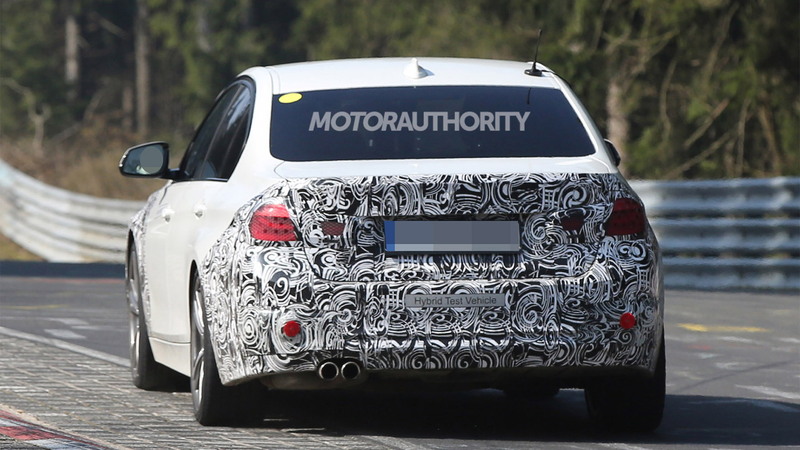 Others will be based on the 7-, 5- and 3-Series models, with a prototype for the latter recently spotted lapping Germany’s Nürburgring. BMW’s plug-in hybrid system for its regular models uses an electric motor integrated with the transmission. This motor is powerful enough to drive the car on its own but can also be used to aid an internal combustion engine during high loads. It’s powered by a lithium-ion battery stored in the trunk, which can be charged up at home or on the run using regenerative braking or energy from the engine. 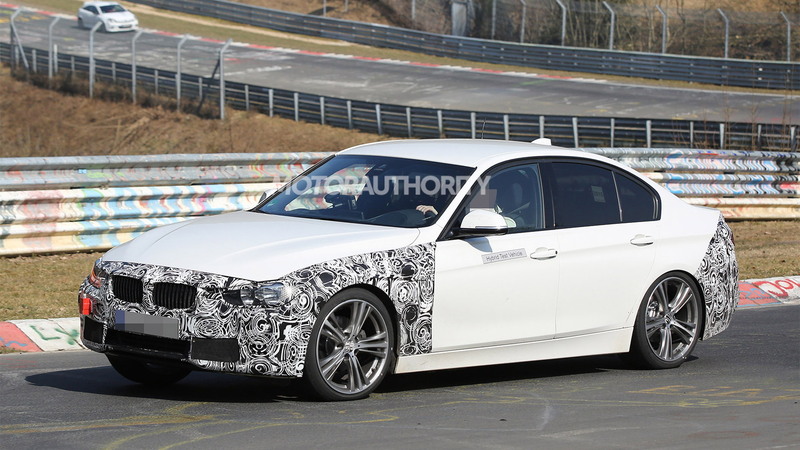 The particular setup destined for the 3-Series plug-in hybrid is similar to the one in the X5 plug-in hybrid, as it relies on a turbocharged four-cylinder engine for its internal combustion component and an electric motor integrated with the vehicle’s eight-speed automatic transmission. But unlike the X5, here the drive goes to the rear wheels only. Peak output of the system should register at 245 horsepower and 295 pound-feet of torque, which is comparable to a six-cylinder engine (the X5 plug-in hybrid is good for 308 hp and 332 lb-ft). The estimated EPA-rated fuel economy for the X5 is 55 mpge, so expect even better numbers for the lighter, less powerful, two-wheel-drive 3-Series plug-in hybrid. The electric-only driving range on a full charge of the battery should be around 20 miles, and in electric-only mode the top speed will be limited to 75 mph. 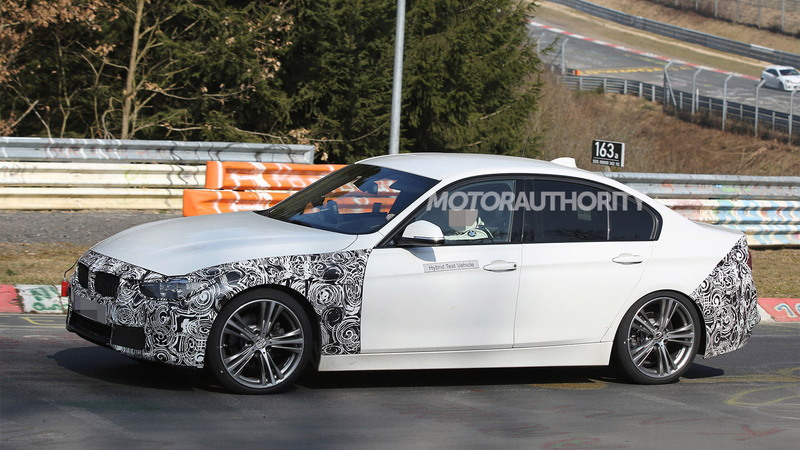 We’re likely to see the 3-Series plug-in hybrid, likely to be badged a 330e, debut in the second half of the year. 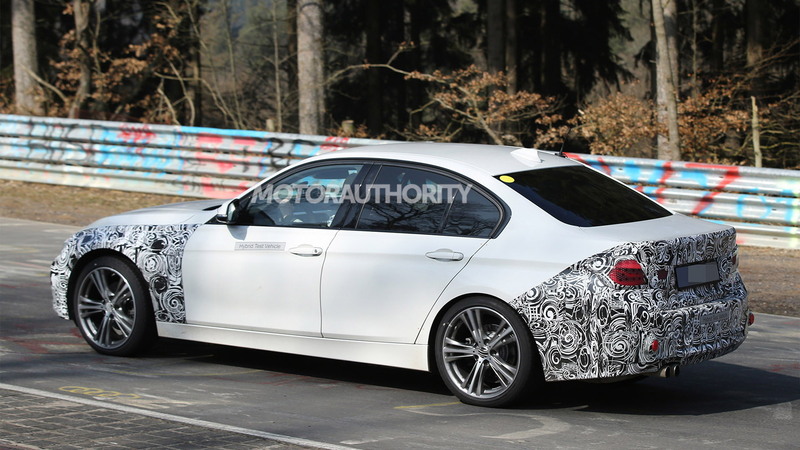 Its arrival will coincide with that of the 3-Series’ mid-cycle update, set to be introduced for the 2016 model year. A debut of the complete range could take place at September’s 2015 Frankfurt Auto Show, with sales to commence shortly after.